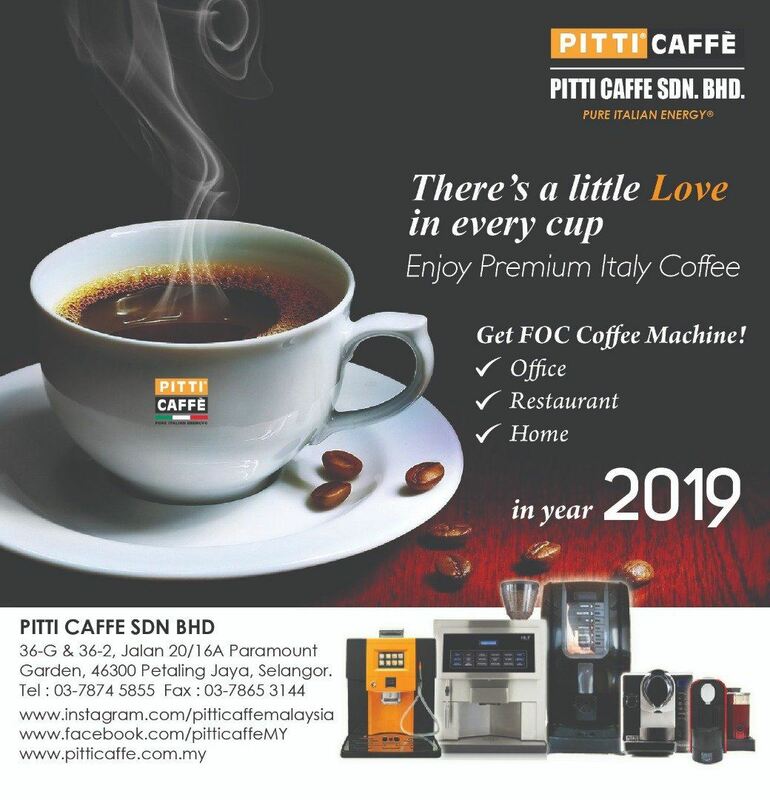 Pitti Caffe Sdn Bhd - Pitti Caffe Sdn Bhd is the sole distributor of Pitti brand in Malaysia. Our main office is located in Petaling Jaya, Selangor. 23-Jan-2017 Beans to Cup or Capsule Coffee Machine ? 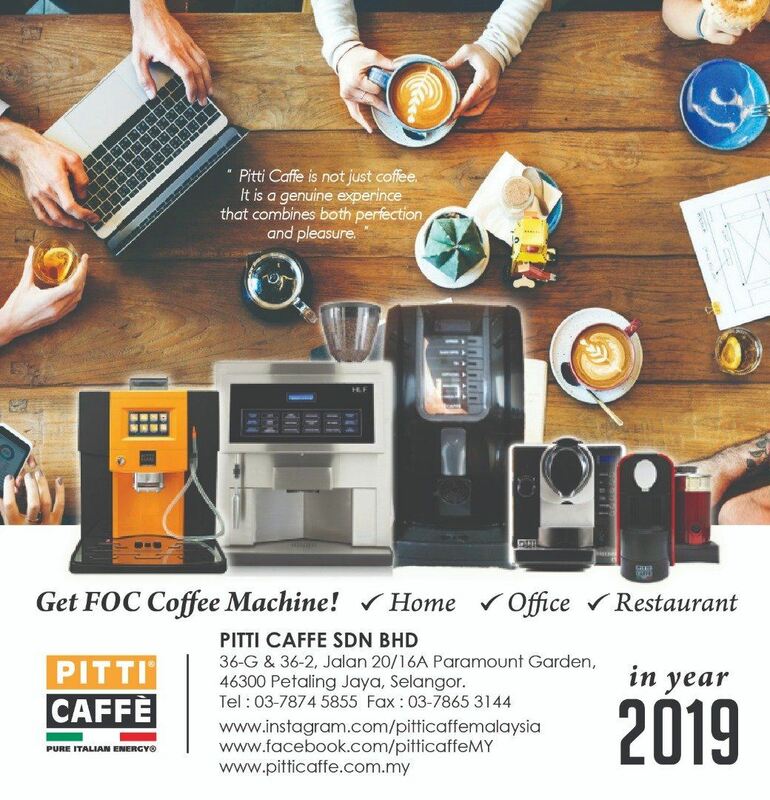 PITTI CAFFE A Best Choice for You! We have served over 400 companies from small offices to large corporates with different needs and requirements since 2012 from Malaysia & Singapore. Some of these companies include myNEWS.com, SAGE, Infosys, DeskRight Pte Ltd, Keppel Corporation, Volkswagen and Nanyang Technological University etc. 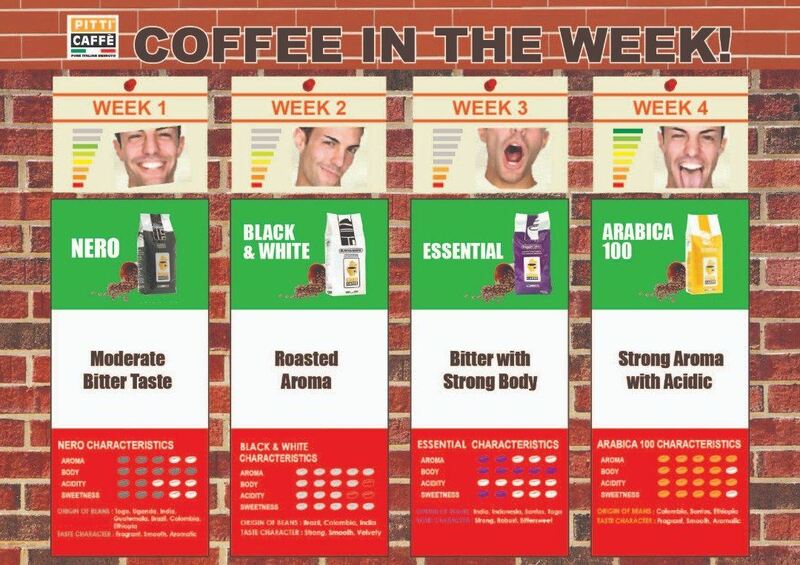 Our entire ranges of coffee offerings originate from Italy for their expertise and values in delivering the best. 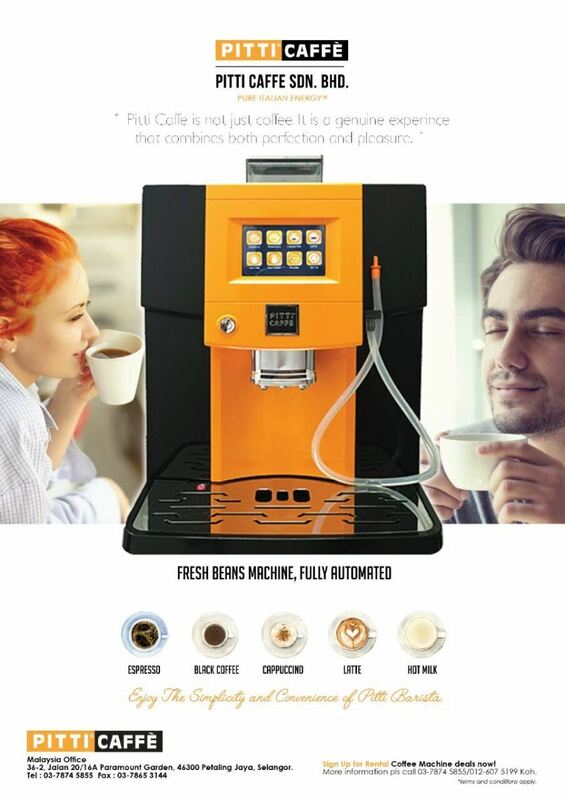 Italy has one of the richest coffee culture and Italians are especially particular on their machine design and coffee consumables to reflect authentic Italian coffee culture. 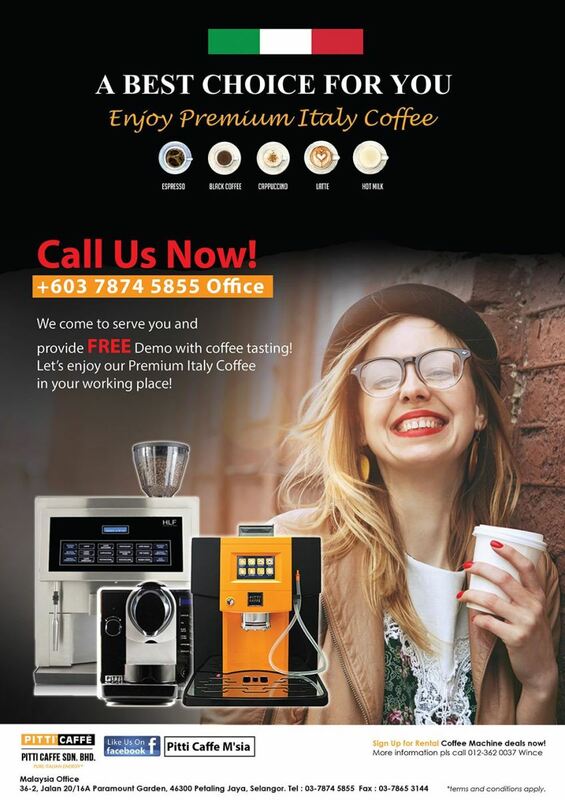 Italians are especially stringent on quality control, reflecting Pitti Caffe Malaysia promises to customers. 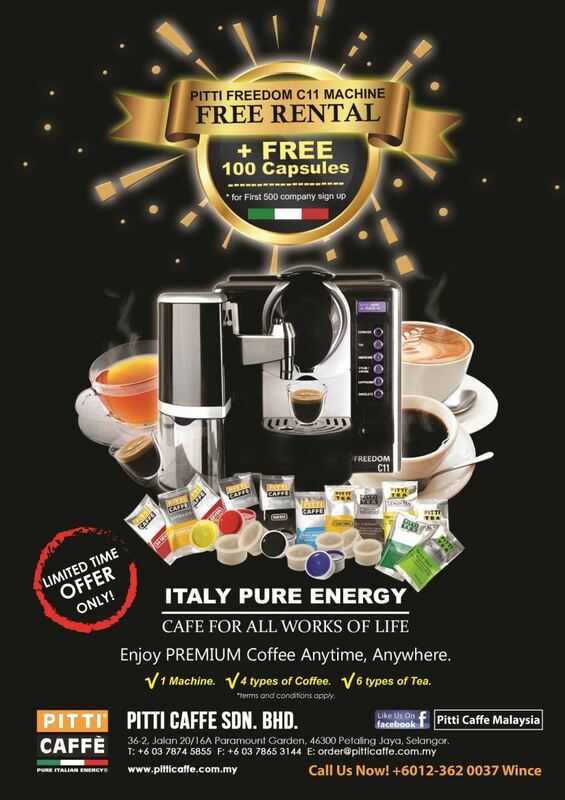 Ranging from our full range of coffee offerings including coffee and tea capsules, PITTI CAFFE, to our high quality Italian coffee machines, HLF, we strive to be the preferred provider for premium beverage in which we provide effective and sustainable solutions – both economically and environmentally to everyone we value and those around us in the business. We dedicate ourselves to our "Customer First" philosophy in providing excellent service and support for all customers. 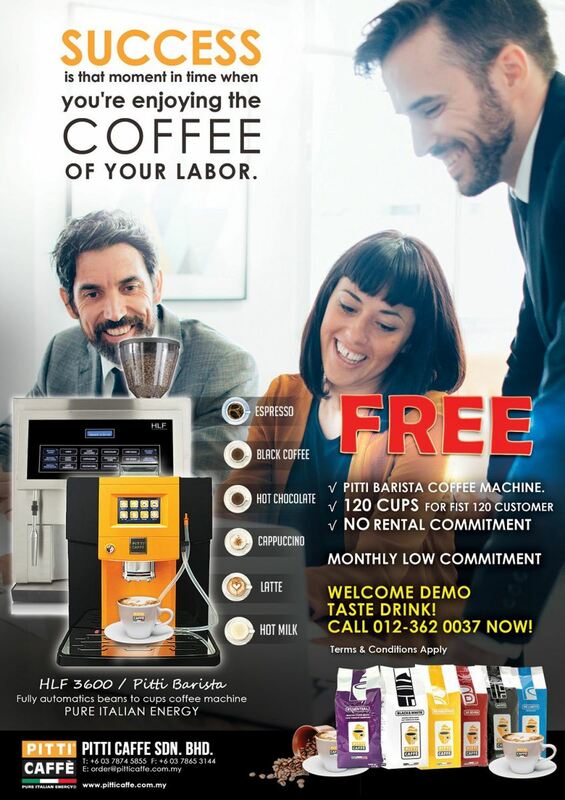 We dedicate ourselves in providing premium beverage solutions for corporates and organisations via our range of offerings from accredited professional coffee machines to award winning coffee beans and the highly popular coffee capsule machines and consumables. 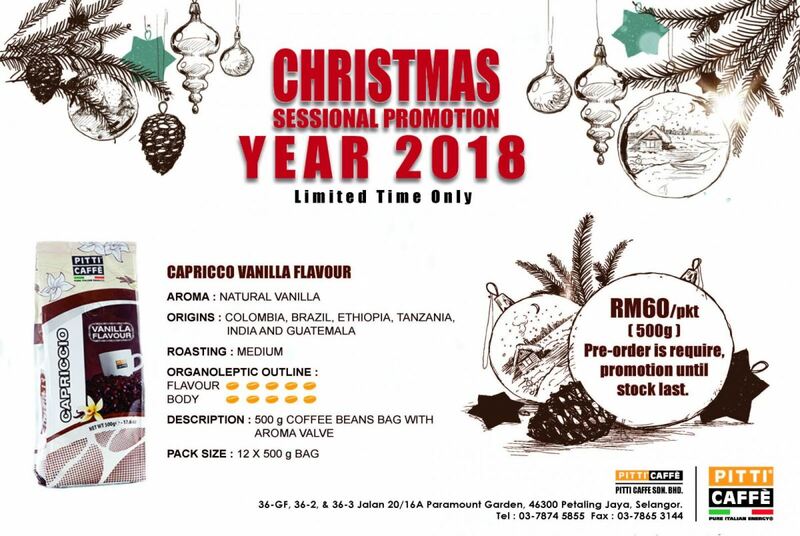 Our coffee products and offerings are all from Italy with its deep and rich roots in coffee culture. 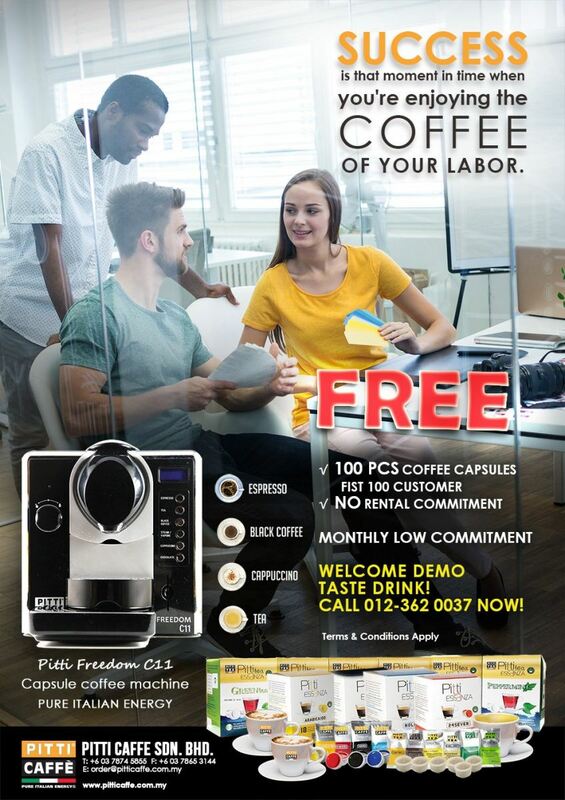 We dedicate ourselves in providing premium beverage solutions for corporates and organisations via our range of offerings from accredited professional coffee machines to award winning coffee beans and the highly popular coffee capsule machines and consumables. Our coffee products and offerings are all from Italy with its deep and rich roots in coffee culture.